Let’s face it: dog play can be quite entertaining to watch and its associated amusement can even beat the best television shows. Have you ever found yourself putting down the remove and shutting off the T.V. to watch your four-legged companions play? The best part is that every dog seems to have a preferred play style. There are dogs who love to chase, dogs who love to wrestle and dogs who are just satisfied to watch other dogs play while carefully monitoring their interactions. In a previous article we looked at the different meanings behind dog sleeping positions, today instead we’ll be discovering different play styles in dogs. Interestingly, there are several! How does your dog play? These dogs may not actively play among other dogs much. Instead, they’ll carefully monitor play sessions sticking by the edges of a group of dogs playing. 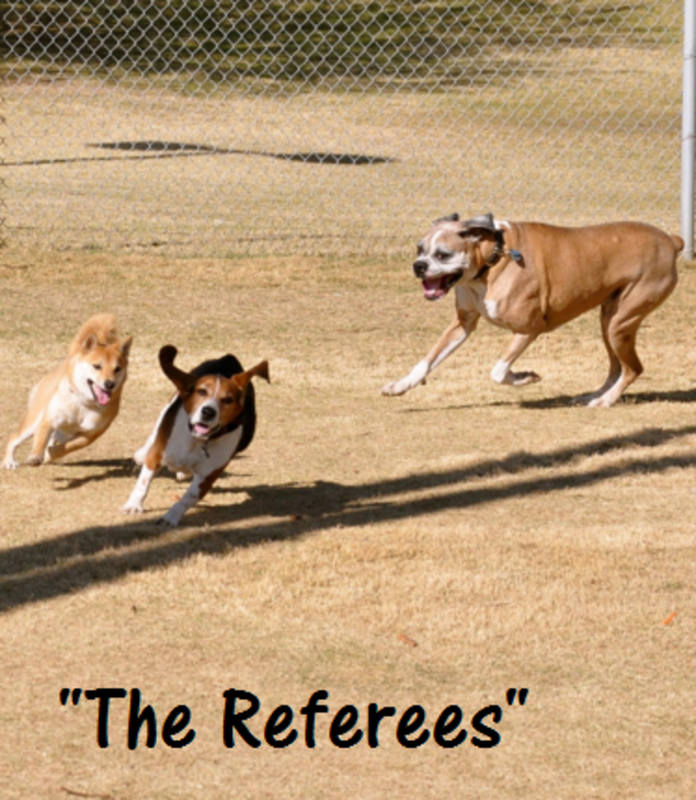 Their main “play style” seems to entail following at a distance repeatedly barking at the players and swiftly intervening if things seem to get out of hand. What triggers their intervention? 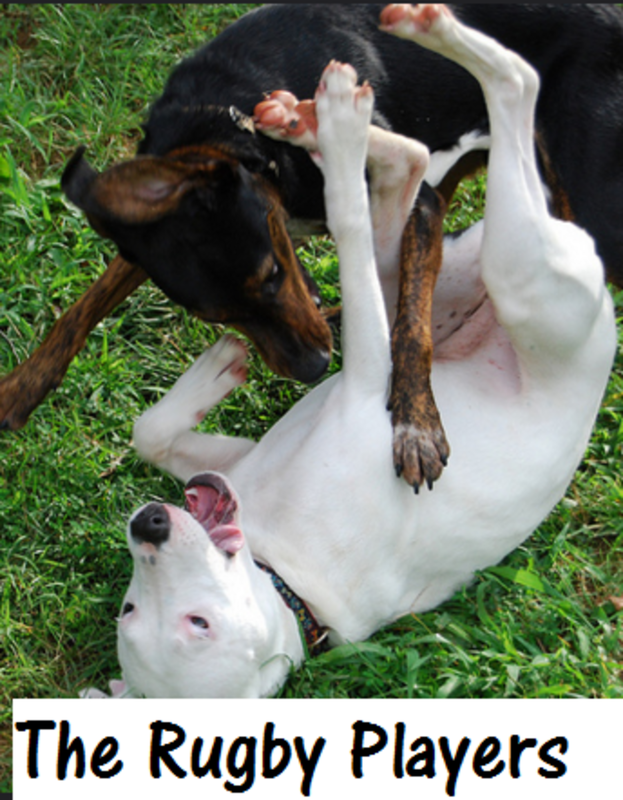 Overly exuberant play or the first signs of a fight brewing may cause them to raise their yellow “penalty card” evoking them to get in between the dogs in an attempt to split things up or break up the fun. Caution: While these dogs’ interventions may be helpful to split things up when dogs seem to not play “by the rules,” things can turn problematic when certain dogs don’t appreciate their “fun police” intrusions and get tired of having their movement controlled. These are dogs who love to romp around chasing other dogs or being the ones chased. They may do a play bow to initiate a chasing session or they may pick up a toy to entice a game of “keep away.” Then, off they go running around wildly. Most dogs cannot resist a game of chase when one dog takes off asking to be chased. Dogs may even take turns in a tag-like fashion and sometimes play “freeze tag” where they stop and go, stop and go. Herding breeds may add their personal twist to the game and also add staring, stalking and nipping the heels of the dog being chased in the mix. Many dogs do not mind being chased, but some may get a bit nervous especially when they are cornered. Keep an eye on the body language of the dog being chased. If his tail is low and he is trying to hide somewhere with his ears flattened or paw raised up, there are chances he’s intimidated by the game. Not too sure if the dog being chased is having fun? Here’s a good test to find out. Gently restrain the chasing dog and see if the dog being chased runs right back to the chaser for more play. Caution: chasing can be contagious! Keep an eye on dogs joining in and chasing down a single dog as seen in the picture! Also, use extra caution with large dogs chasing small dogs; predatory drift is a dangerous phenomenon that can be easily avoided by simply dividing play mates by sizes. Don’t take the risk! Some dogs like to play hard and their passion may be body slamming at full speed against others dogs and even flipping them over. 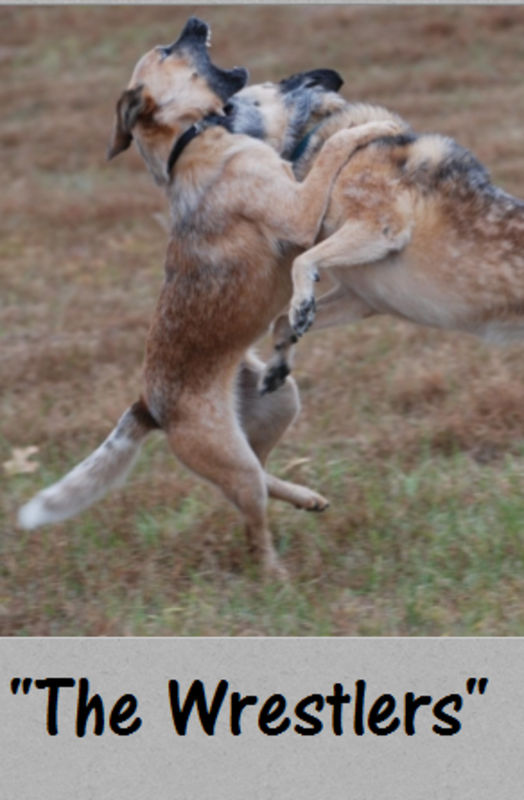 These dogs enjoy full-contact play which can be fun if they find another buddy with a similar play style, but the problem is that not all dogs are accepting of this rough play style. The body slams and hip checks may be perceived as frightening to smaller dogs, old dogs, and puppies which can get hurt or end up being bullied, cautions dog trainer Jolanta Benal. Caution: dogs who do not find this type of contact sport acceptable may respond by lunging or snapping and things can take a turn for the worse. It’s a good idea to train rough-and -tumble dogs a solid “leave it” or a recall so they can be re-directed before things get out of hand. These players are often great in inhibiting their bites and despite how vicious they look, it’s for the most part harmless play. You may sometimes stumble on hounds who will chase dogs and then they’ll start wrestling, ending the matches with fearsome growls and playful mock attacks aiming for the throat. Many sporting and working breeds, along with the larger terriers, may enjoy this type of play. Caution: as with rugby players, this style of play requires close monitoring to check how other dogs are perceiving it. 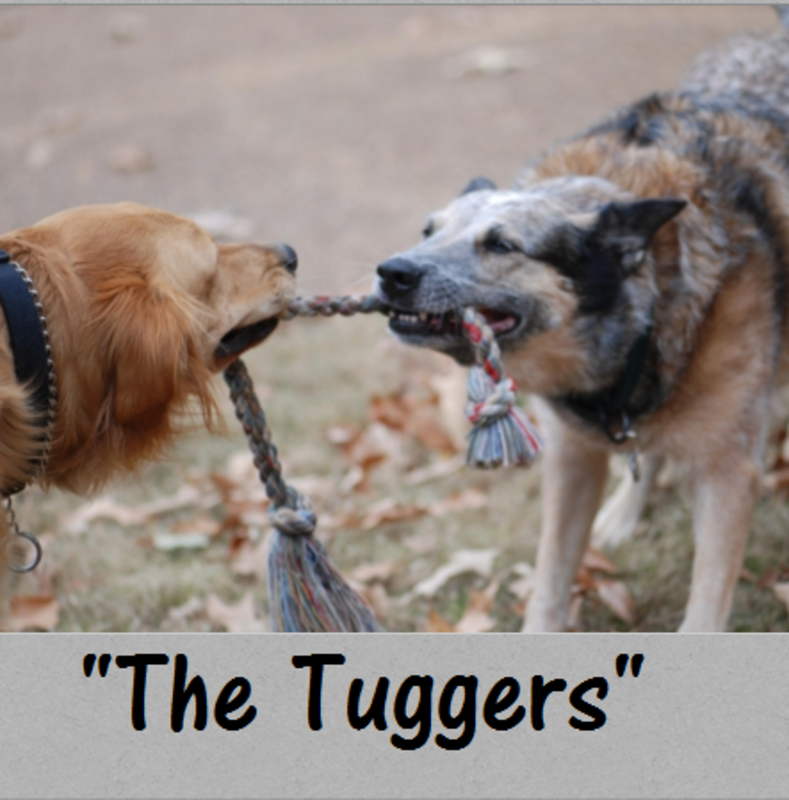 Some dogs are particularly passionate about tug-of-war games and they’ll encourage other dogs to play by shoving their tug toy near their faces. Despite what you may have heard in the past, this game has little to do with “dominance’ but more about just having fun. Indeed, you’ll often see large dogs “self-handicapping” when playing it with a smaller or younger dog. This game is reminiscent of ancient times, dating back centuries prior to when tug toys were invented. Indeed, in the old days a dog’s ancestors were playing games of tug by using remnants of pieces of hides of killed animals. Caution: this game puts dog faces close to each other and there may be some inevitable moments of direct eye contact. Watch the game as some dogs may not be comfortable with this. Also, keep an eye open for signs of resource guarding. 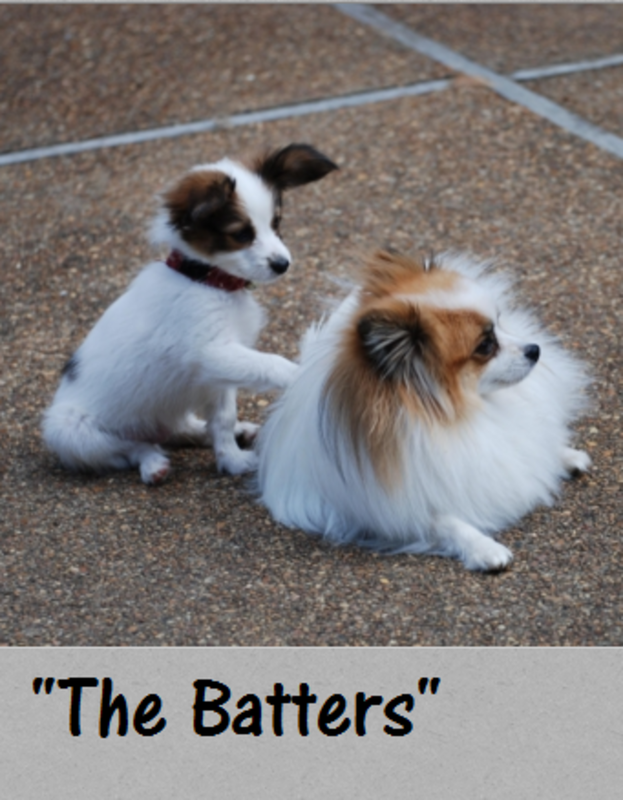 You often see this play style in small, toy breed dogs or in dogs who lack confidence or have a history of being intimidated by rowdy play. These dogs engage in cat-like play where they will be gently batting other dogs’ faces with their paws and engage in other forms of soft play. Some dogs may have converted to this play style because of some physical impairment such as arthritis or other orthopedic problem. 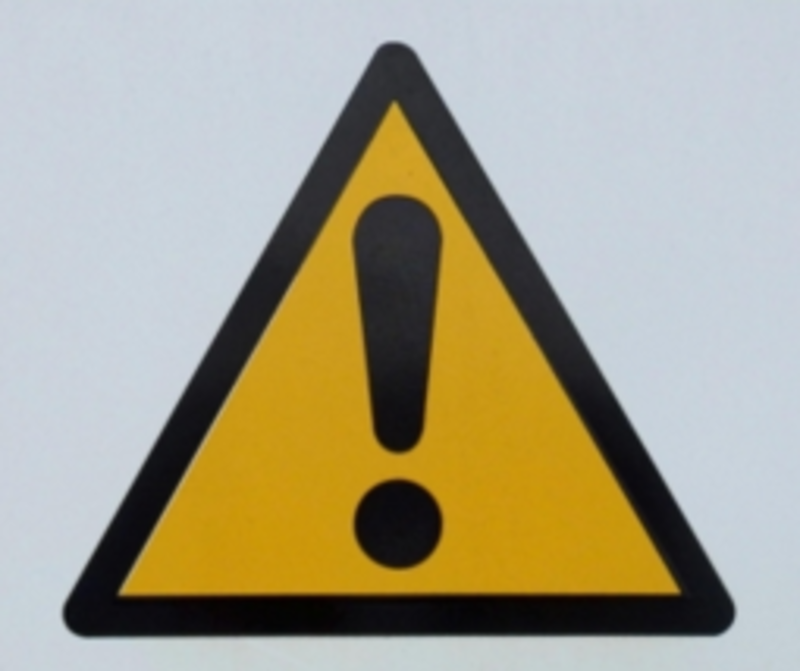 Caution: These dogs do best playing with appropriately sized playmates or other dogs who match their play style as wrestling, body slamming may be too much for them physically or emotionally. As seen, there are many different play styles in dogs, but you may find that many like to combine many of the above and some dogs may have some quite unique play styles. How does your dog play? 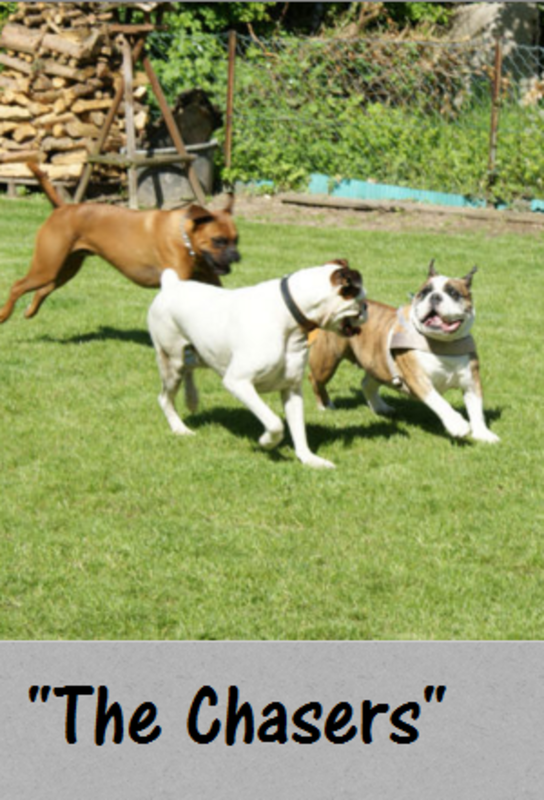 Regardless of the type of play that dogs engage in, the most important factor is to make sure everyone is having fun! A good way to dog this is by hand picking dogs that make good, compatible play mates. Quick and Dirty Tips: Dog Play Styles and Aggression, by Jolanta Benal, retrieved from the web on April 1st, 2016.